The 3rd Edition of “China Wine Awards” held last week, attended by nearly 2,000 wines from 35 countries and tasted by a jury with 100 specialists. “China Wine Awards” is the name of a competition organized by a Hong Kong publisher. The 3rd edition of this contest counted on 2,000 wines from 35 countries, which were evaluated by hundreds of jurors, mostly of Chinese origin. 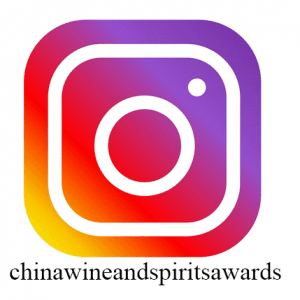 That’s why the organization does not get tired of saying that “China Wine Awards” contest that is more suited to the tastes of Chinese consumers. 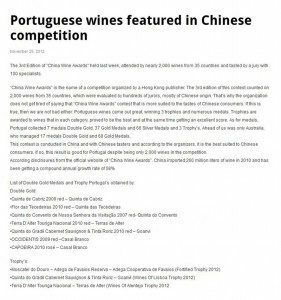 If this is true, then we are not bad either: Portuguese wines came out great, winning 3 trophies and numerous medals. 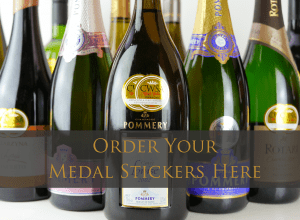 Trophies are awarded to wines that in each category, proved to be the best and at the same time getting an excellent score. As for medals, Portugal collected 7 medals Double Gold, 37 Gold Medals and 66 Silver Medals and 3 Trophy’s. Ahead of us was only Australia, who managed 17 medals Double Gold and 68 Gold Medals. 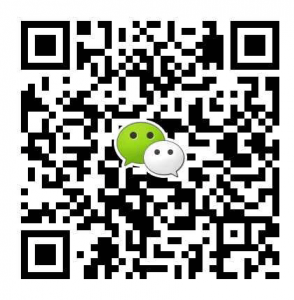 This contest is conducted in China and with Chinese tasters and according to the organizers, it is the best suited to Chinese consumers. If so, this result is good for Portugal despite being only 2,000 wines in the competition.